The Windows right-click menu is a feature that we may often take for granted, but it can really make our lives easier. Advanced users probably don’t use it that much, having learned all the necessary keyboard shortcuts to do whatever they want in the blink of an eye, but what if you could spice up that right-click menu? What if it could do a bunch of awesome tasks that you couldn’t replicate with the keyboard? That’s one of the drawbacks to the menu, I think. A lot of the menu options are either rarely used so we don’t remember to use them, or they’re easily replaced by a simple key combination like in the case of copy-pasting. But thanks to a few awesome programmers, we can boost the usefulness of our right-click menus by adding more features to it. Sound interesting? I know it does! Let’s take a look at some ways you can really enhance your right-click menu and propel it into the realm of awesomeness. What It Does: Takes the contents of your clipboard and converts it straight into a file, whether it be text or an image. If you’ve ever copied a big block of text with the intent of creating a separate file for it, then PasteAsFile is for you. If you frequently take screen captures or crop images and want a fast way to turn them into image files, PasteAsFile is for you, too. It has the potential to be a productivity revolutionist. And the best part is that it supports multiple file formats, including TXT, DOC, RTF, HTML, PHP, CSS and more (for text files) and JPG, PNG, BMP, TGA, GIF, and more (for image files). What It Does: Takes the contents of a file and converts it into your clipboard. If this sounds like the exact opposite of PasteAsFile, then you’re exactly right! In those pesky cases where you’d have to first open a file just to select everything and copy, CopyContents will make your life a smidgen easier. For now, the program only supports text files (TXT, RTF) and image files (JPG, PNG, BMP, TGA, GIF, JIG, PCX). What It Does: Takes every file in your selection and places them inside individual newly-created folders. In those rare instances where you have a bunch of files that need to be placed within their own individual folders, FileToFolder will take care of it for you. Admittedly, I’ve never had to do something like this, but apparently a lot of people have found this program useful. In fact, one feature that would make this a necessity for me would be the option to send all selected files into a single new folder. But as far as I know, that option doesn’t exist. What It Does: Immediately takes you to the source location that a shortcut points to. If you use a lot of desktop or taskbar shortcuts, then every once in a while you will find yourself needing to find the actual file or folder that a particular shortcut points to. With FindTarget, this menu option will take you there immediately. No fuss, no hassle. It’s not something I would use on a daily basis, but it will remain on my computer forever. Definitely one of the most useful menu options available. What It Does: Uninstalls a program from the system directly from the right-click menu. I spend a ton of time installing new programs, trying things out, and then uninstalling them when they inevitably fail to meet my standards. Perhaps you’re the same way. If you waste a lot of time going to the Control Panel to uninstall programs, Menu Uninstaller Lite will be a godsend. Any time you stumble across a program on your computer that you no longer want, right-click on it and uninstall instantly. It’s so easy, so convenient, and so fast. What It Does: Allows the user to add custom commands, shortcuts, files and URLs directly to the right-click menu. If the description above doesn’t sell you on this program, then maybe the “extended” option will. The extended option causes menu items marked as “extended” to only appear when pressing Shift. Very useful if you want a lot of functionality without crowding your menu. Unfortunately, users on Windows XP and prior versions are out of luck here. ContextMenuEditor only runs on Windows Vista and 7. What It Does: Allows the user to change the attributes of a file or folder with right-click. Windows labels every file and folder with a certain set of attributes for system use; for example, some files are hidden, some files are read-only, etc. If you find that you change file attributes often, this one will save you on some repetition. The one downside to AttrMenu is that it has an unconventional installation procedure. So there you have it. Seven new and awesome ways to turn your boring old right-click menu into something fantastic and useful. How much time will you save by having all of these features right at the click of your finger? Some really great stuff here. Might sound ignorant, but how do you get the app over to the right-click menu? I need to know the steps. Thanks. I want to try some of your ideas. Please help the newcomer. I'm not sure what you mean, Linda. If you install any of the programs in this list, the options should automatically appear in your right-click menu. After installation, there shouldn't be any more that you have to do. "In fact, one feature that would make this a necessity for me would be the option to send all selected files into a single new folder. But as far as I know, that option doesn’t exist." Sorry I don't have time right now to play with it and give a report, but I thought I'd pass the link along in case you, Joel, or anyone else wants to give it a look. ok, how do you make these things work? You have to install each one separately. Click on the links in the article for the download links. Sending all files to the same folder has been a TODO for a while but until reading the comments here I did not think there was an immediate need. That said, the launching of QuickMove sort of negated this thought because that is something that QuickMove specialise more in. FileToFolder is more focused on CREATING folders from a set of new files. Maybe next version ? Thanks a lot for the awesome suggestions! I always seem to get my context-menu very cluttered. I use PasteAsFile every time I take a screenshot, thanks for recommending it. Menu Uninstaller Lite is great!!!! Really useful tools! Thanks Joel! The Menu Uninstaller Lite and the Context Menu editor are must haves! Thanks for sharing this - great post! PasteAsFile and CopyContents are golden. completely agree with your point on file2folder.. unless it has an option to add selected files to single folder, i don't think its useful.. Thanks for sharing these software.Will try each of them. gonna download these tools ! Best post I've read in weeks! I just did a copy contents and then a paste to file... then giggled a little. I love these apps! Haha, glad you're having fun with them. Thanks for the kind words! Really useful post...got to try some of these. Cool. 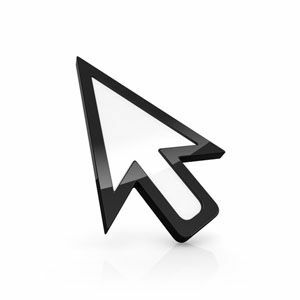 Good tools by just using right-click menu on the mouse. Find target is definitely one that I would be considering. I will try PasteAsFile and Context Menu Editor later tonight! Wow this PasteAsFile is awesome! It really is! Glad you like it. So where is the link to download the tool for the right click menu??? Click on the blue names in the article. Those are the links to the individual programs.